I am not going to go into a long drawn out review- howver, ive done accutane twice, and my acne went away both times for about 7 months, and then it came back slowly but surely. I started taking this two years ago everday - Amazon- one spoonfull a day and my acne has been completely gone. It took about 2 months for it to kick in. I swear and praise jesus for this stuff. It definitely cured my PCOS induced acne. No side effects Safe for long-term use effective DCI is expensive I highly recommend inositol (both d-chiro-inositol and myo-inositol) if you suffer with PCOS and/or hormonal acne. 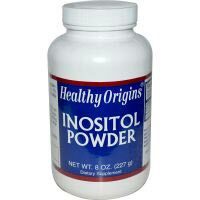 Check the web for clinical studies on inositol's ability to help with acne and other PCOS symptoms. I have been taking myo-inositol (in power form) for 5 months, and DCI for almost 2 months and I am happy with the results! Best taken on an empty stomach. Can take up to 2 cycles to notice improvement, but I noticed results fairly quickly.